Last month we reviewed solid fuel options for heating a home, including cut wood, pellets and bricks. This month, the fuels we’ll review are propane, oil and natural gas. As is the case with many fuels, geographic location may have a large impact on your available choices for fuel. Other factors to consider are delivery/storage, price volatility, environmental impact and efficiency. Fuel Oil, or #2 heating oil as it is referred to in North American commodities markets, is extracted from crude oil and comprises about 25% of a barrel of oil. It is more viscous than gasoline and is stored in tanks in a domestic application. Efficiency. Most modern fuel oil furnaces heat with good to high efficiency. The Department of Energy rates furnaces based on their AFUE (Annual Fuel Utilization Efficiency). To qualify for an Energy Star program rating, oil furnaces must have an AFUE rating of 85% or higher. Most oil furnaces have ratings between 85-86% AFUE. One manufacturer offers an oil furnace with a 95% AFUE rating, Adams Manufacturing. Availability. #2 heating oil is generally available for residential use in most of the US and Canada. The Northeast is more dependent on fuel oil as a heating source than other parts of the country. Environmental considerations. Fuel oil is not a renewable resource and burns less cleanly than other options. Storage in tanks is common, both above ground and below. Clean-up in the case of a leaky tank, overflow or tank damage can be costly. Cost. Fuel oil is primarily sourced from foreign countries. Because of geopolitical pressures, the price of fuel oil can be volatile. Supply and demand can also drive prices for fuel oil up. The majority of U.S. refineries process light sweet crude, which is sourced from the middle east. High sulphur crude from nearby countries and US drilling in the Gulf of Mexico is refined through only one company because of special equipment required. Political considerations and environmental disasters can affect this local sourcing. The most recent heating season (October 2010 to March 2011) saw oil price averages rise from $2.955 to $3.875 per gallon. Some areas saw prices close to $4. Calculating the cost per million BTUs, fuel oil tops out at $32.66 using a furnace of 85% efficiency. 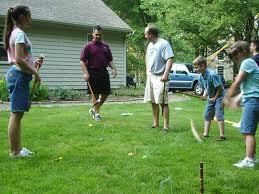 Natural Gas is abundant in the US and is formed by a combustible mix of hydrocarbon gases, of which 70-90% is methane. Though odorless, an identifying odor is added so that the gas can be readily identified. The reservoirs found underground are usually found in tandem with oil deposits. Technology called hydraulic “fracking” to extract more difficult deposits from oil shale or other formations have been performed for many years, but now are considered by some to be environmentally threatening to groundwater. Efficiency. 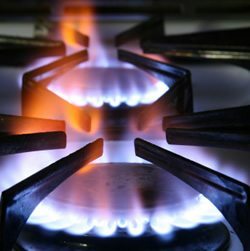 Natural gas burns cleaner than fuel oil. Natural gas furnaces can be found with AFUE ratings from 90% to 98% depending on the manufacturer. Click here to download Energy Star furnace resource guides. Availability. Because natural gas is delivered by local utilities through pipelines, its distribution is usually limited to urban areas. Environmental considerations. Natural gas burns cleaner than other hydrocarbons like fuel oil and coal, but still emits carbon dioxide, believed to be a primary cause for global warming. Natural gas is nearly sulfur dioxide free and produces fewer particulates than other fuels. Cost. Natural gas residential pricing has fallen in recent months hovering around $10 per thousand cubic feet. Since natural gas is available domestically, it is less subject to geopolitical concerns, though price is still affected by demand and market trading. Calculating the cost per million BTUs, natural gas tops out at $10.546 using a furnace of 92% efficiency. Propane or liquefied petroleum gas is a hydrocarbon that is produced from processing natural gas and crude oil. Most propane is produced domestically. It is odorless but has an identifying odor added for leak detection. Efficiency. Propane is on par with natural gas with similar low carbon footprint, lower emissions and virtually no particulate matter. Furnaces are also high efficiency with AFUE ratings in the 90% range. Availability. Because it is not delivered via a utility pipe transmission but stored on site in tanks, it is more widely available. 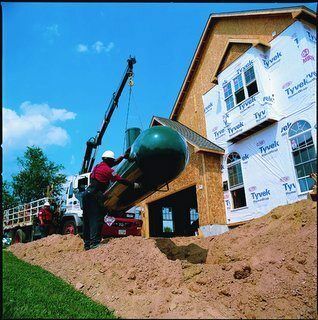 Large storage tanks can be buried safely as propane is non-toxic and poses no danger to groundwater or soils. Propane is promoted by some as an “off the grid” option for domestic fuel. One additional option available with propane is for fueling an on-demand back-up generator. If your home is located in an area with frequent electricity interruptions, this could be a benefit. Environmental considerations. Like natural gas, propane is clean-burning. Costs. Because propane is tied with oil its pricing has risen, but not as dramatically as fuel oil. Average costs in the US ranged from $2.397 to $2.868 per gallon over the most recent October- March heating season. Calculating the cost per million BTUs, propane tops out at $31.78 using a furnace of 92% efficiency. When considering your fuel supply for heat and air conditioning, one aspect to include is any potential tax credits that might be applied to the furnace you select. Furnaces with higher AFUE ratings tend to be more expensive, but the efficiency and tax benefits may equalize the return on investment over five years. Some home owners hedge their fuel bets by installing a primary heating system with a secondary “back-up.” Sometimes this combination can provide significant savings when one fuel rises in price and can be offset by a lower cost option. To calculate your local cost per million BTUs, check out this handy fuel calculator.